Mr Constantinos Yiatrou was born in Nicosia, Cyprus but comes from Famagusta.Constantinos completed his studies in law at the Law School of the Arιstotelio University of Thessaloniki in 2013. 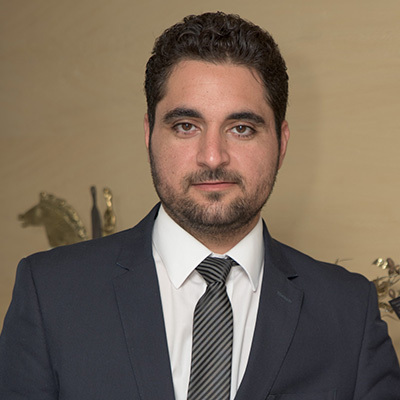 Constantinoswas admitted to the Cyprus Bar in 2014 and began his practice atthe law firm Symeou & Konnaris LLC and now is a member of Litigation Department. Areas of Practice: Constantinos has continued to practice in areas such as debt collection, Banking law, Contract law, Fαmily law and general civil law.